A trip to Hawaii happened one random night while I were channel surfing and came upon HGTV’s Hawaii Life show and the season finale of Duck Dynasty where the family vacations on the Big Island. I did some research on the various Hawaiian islands and asked friends for recommendations on where they had visited. 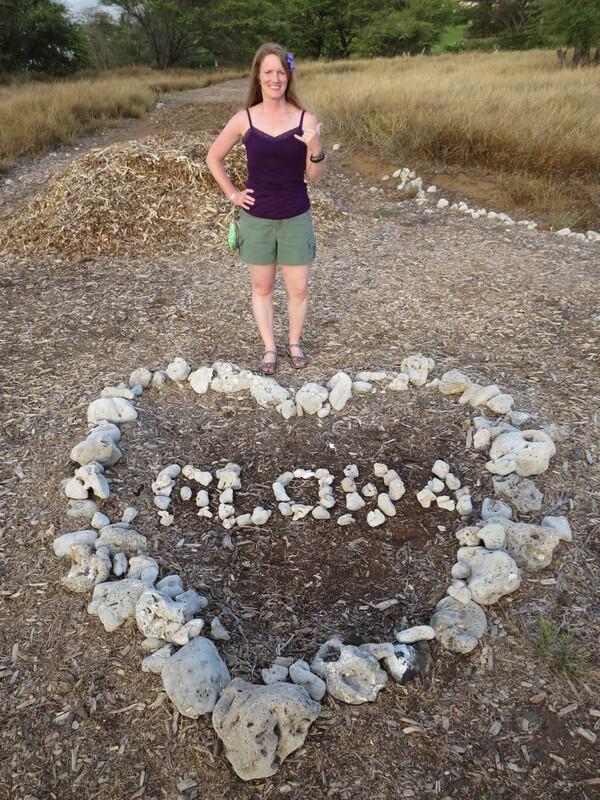 We decided on Maui since we wanted to relax, hike, explore and have warm, dry weather. Maui is the second largest of the Hawaiian islands at 729 square miles. There are 81 accessible beaches and a national park on the island. Hawaiian shirts are considered appropriate business attire. 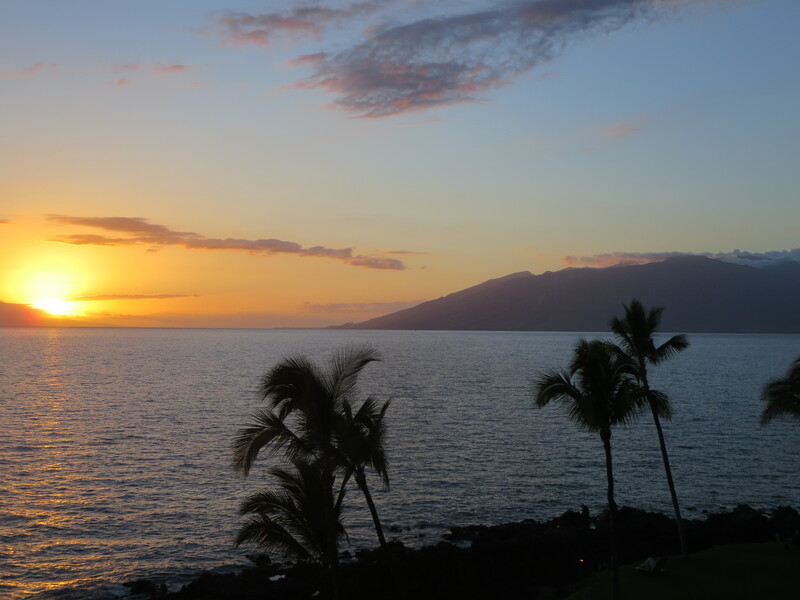 We stayed in Kihei, located on the southwest side of Maui. It’s not considered charming or quaint by any tour books but we found it convenient to most of the spots on the island we wanted to visit, including the airport, Haleakala National Park, Lahaina luau, road to Hana, beaches, Iao Valley State Park and more. 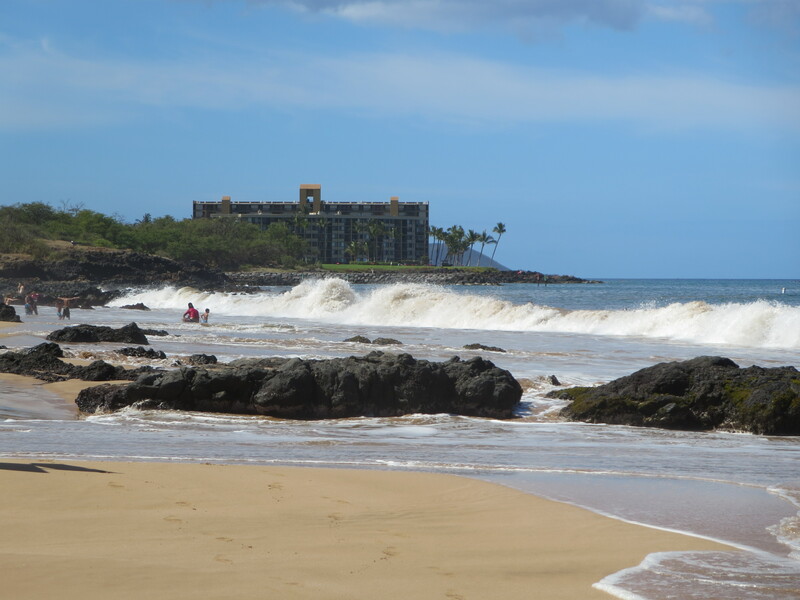 Three popular beaches – Kamaole Beach I, II, III – were north of our condo and Keawakapu Beach to the immediate south. Kihei is a busy town, but not too busy. Our condo complex was toward the south end of the main South Kihei Road so rather quiet, which we loved after a long day of exploring. We found a condo in Kihei on Vacation Rentals By Owner (VRBO.com) – one bedroom, 1.5 bath oceanfront in a wonderful complex that included a pool overlooking the ocean, shuffle board, bocce ball, putting green, grills, picnic tables and more. The condo was fully equipped, including beach towels, beach chairs and umbrella, full kitchen, towels, sheets, iPod docking station, free wi-fi and long distance to the mainland. We were thrilled with the accommodations since this was our first time renting from VRBO. So we booked the condo for nine amazing days. We were told that if you can only visit one island, make it Maui and we’re thrilled we did – from the towns/cities to the volcano environment to the tropical landscapes to the awesome beaches, Maui has a little of everything. Apply sunscreen everywhere, then apply more, especially after swimming! Don’t be foolish and think a tan is pretty – it’s still damage to the skin (as someone who is obsessed with sunscreen and terrified of skin cancer, I had to tamper down anxiety most days looking at all the people who bake in the sun for hours, causing burns and wrinkly skin). Hawaii’s sun is hot and strong – we applied 55 SPF sunscreen multiple times a day and still ended up with pink skin. Everyone wears hats too to protect your face from the sun. Get up early to walk, enjoy the quiet and do activities like snorkeling. The current isn’t as strong early morning so it’s recommended to snorkel, paddle board, etc before 11am. Eat fresh fruit – YUM! We purchased delicious apple bananas and papayas from the farmer’s market down the street from our condo. Rent oceanfront lodging if you can. It’s worth the extra money for the breathtaking views and the sounds of the ocean’s waves. Rent a condo or hotel with a kitchenette as you can save quite a bit of money by simply making breakfast and/or lunch every day. Before you book your lodging, make sure pictures are updated, confirm amenities included, check the location of the beach, ask who you’re booking through (some third-party companies rent online) and check out the reviews on TripAdvisor.com. Remember Hawaii is a U.S. state. The connected 48 states are considered ‘the mainland,’ not the States. Stick around for the next few blogs and you can travel with us to a luau, up 10,000 feet to watch the sun rise on volcano, drive more than 600 curves to the town of Hana, ride the waves and more.